On Fridays right here, writers talk about their books, their process, where they’ve been, and where they’re going. S.M. Freedman‘s debut thriller, THE FAITHFUL, excelled in the last year of the Amazon Breakthrough Novel Award’s running, and it wasn’t long before the book drew the attention of Thomas & Mercer, Amazon’s Mystery/Thriller imprint. In anticipation of the launch on September 29th of this acclaimed novel, Shoshona shares her insight and experience. Can you share some of the highlights of your publishing journey since your participation in ABNA? I’m still so sad that ABNA is finished! It created such a great author community—and that, more than anything, was the highlight for me. I met some amazing writers with whom I now share this writerly journey, and I’m forever grateful to ABNA for the introduction. Partway through ABNA, I decided to self-publish. 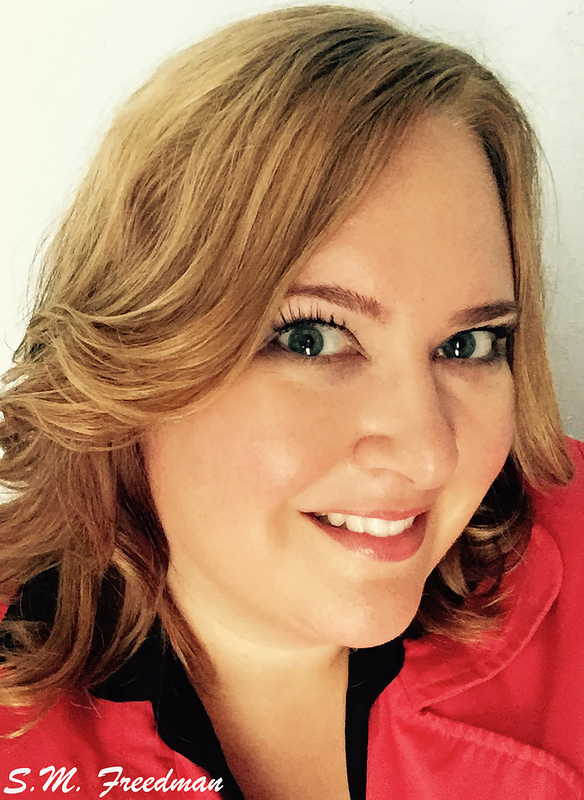 Fueled by the desire to keep my book-baby completely my own, I turned away from the traditional route of agents, query letters, submission packages, etc. While Amazon makes self-publishing a fairly simple process, there’s a huge learning curve involved if you want to do it well. There’s editing and formatting and cover design and, scariest of all, marketing. I learned a ton, and for the most part, it was a lot of fun to steer my own ship. This past February, I was contacted out of the blue by an acquisitions editor from Thomas & Mercer. I must admit I almost deleted her email, thinking it was spam that had somehow missed the filter. And then I read it more carefully, and my heart started to do a little pitter-pat inside my chest. The gist of her email was this: She’d read and loved The Faithful, and she wanted to discuss republishing it under Thomas & Mercer’s label. She wanted to take it global, and put the strength of Amazon’s marketing team behind it. I was intrigued, but also very nervous. There’s a freedom that comes along with self-publishing, and I wasn’t sure I wanted to give that up. I’ve heard many horror stories from authors who have inked deals with publishing houses and lost their say in how the book was finalized. By publication time, the author no longer felt any connection to their book-baby. In one of our initial conversations, the acquisitions editor assured me that despite being part of the Amazon monolith, T&M did things differently. They were author-centric and had the feel of a small publishing house. And she was right. They’re amazing! What has working with T&M been like? Can you walk us through the process? I’ve really enjoyed the whole darn thing! Because I don’t have an agent serving as my go-between, I’ve had the chance to be hands on with everyone at T&M. I’ve gotten to know their editors, their marketing people, and their author relations team—each and every one of them is passionate and dedicated and funny and smart and kind. The Faithful went through a developmental edit, followed by several copy edits with different editors. Improvements to the story were suggested by their editors rather than demanded, and left for me to complete as best I could. I was reminded many times that I had the right to say no if I didn’t agree with a suggestion, but I never felt the need; they know what they’re talking about! T&M involved me in every detail of decision-making, from marketing blurbs to the design of the book cover. It was like a whole bunch of smarty-pants brains came together with the goal of making every word, every design element, every little thing, the best it could be. So now, four short days away from the launch of the republished version of The Faithful, I not only feel just as connected to my book-baby, but also like I had the help of a super-smart village in raising it—and it’s now on its way to Harvard. I’d love to know what drew you to your subject matter and how you managed to get under the skin of such a rich array of characters. Can you tell us a little about them? I’m only just coming to realize how much I write what I fear: losing a child, things that go bump in the night, the end of days … there were certain chapters, like when Father Barnabas comes through Ryanne during hypnosis, where I ended up with a serious case of the willies and had trouble sleeping afterward! Ha ha. Silly writer, scaring herself! As for the characters, each of them is a part of me. Ryanne is cheeky, geeky, awkward, loves junk food and hates exercise. Josh, the FBI agent, is true-blue, methodical and investigative, but has a giant poetic heart. He’ll never let you down and will fight to the bitter end for what he believes in. In Sumner I’ve unleashed my ill-timed and poorly filtered sense of humor. He says the things I think, but usually have the presence of mind to keep to myself. He’s a rough nut, but there’s a depth and seriousness to him that I’m only just beginning to tap. The Faithful’s sequel is written, although I’m keeping the title close to the vest for now. It picks up a few months after The Faithful left off, and let’s just say, I Fidele is far from finished. I think it’s going to be the dark-hearted middle child of the series. I’ve also been working on a detective story set in Palm Springs, which might end up becoming a series as well. What are your future plans as an author? How do you see your career developing? My plans are simple, really: Keep on writing until they pry that keyboard from my cold, dead hands. Why hello, Stephen King! How nice to finally meet you! We wish S.M. Freedman a successful launch on the 29th. Until then, THE FAITHFUL can be pre-ordered today here. Feel free to connect with her through the links below. S.M. Freedman is a top-ranked Amazon author in the Mystery, Thriller and Suspense categories, and a member of the WorldWiseWriters group. She lives in Vancouver with her husband, two children and a giant orange cat. She studied acting at the American Academy of Dramatic Arts in New York, and spent years as a private investigator and business owner. Inspired by authors of many different genres (favorites include Sue Grafton, Diana Gabaldon, Jodi Picoult, Stephen King, Justin Cronin, Suzanne Collins, and Lawrence Hill, to name a few) she eventually turned back to her first love: writing. 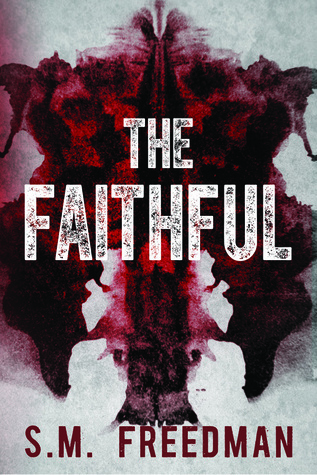 The Faithful, a paperback and Kindle Amazon Bestseller in both the US and the UK, and a Quarter Finalist in the 2014 Amazon Breakthrough Novel Award, is her debut novel. It will be re-published globally by Thomas & Mercer (Amazon’s Mystery/Thriller Imprint) in the fall of 2015. She’s currently working on the sequel.